Used clothing sent to the Brethren Service Center in New Windsor, Maryland, was sorted and baled for shipping overseas. Photo courtesy Robert Ebey. Source unknown. 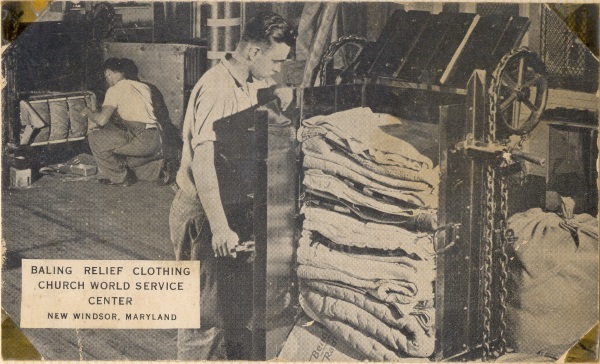 Used clothing sent to the Brethren Service Center in New Windsor, Maryland, was sorted and baled for shipping overseas.